(Kansas City, Missouri - March 30, 2018) The first public meeting for the KC Streetcar Main Street Extension is set for Tuesday, April 3, from 4:30 p.m. - 6:30 p.m. at Community Christian Church, Centennial Hall, 4601 Main Street. 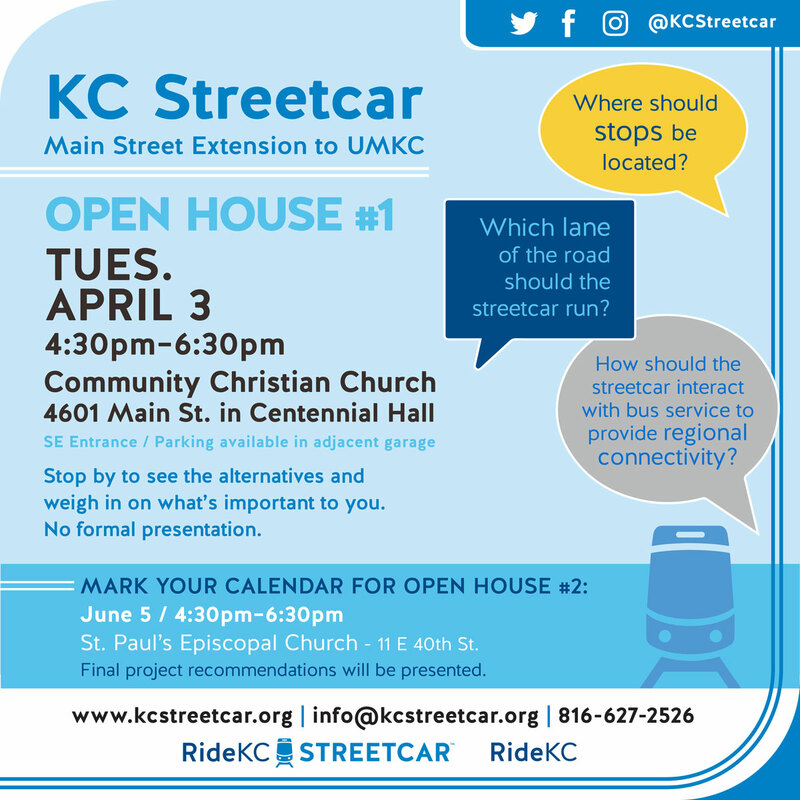 Together with the KC Area Transportation Authority and the City of Kansas City, Missouri, the KC Streetcar Authority is asking for community input at this open house style meeting. Participants will learn more about the status of the Main Street Extension and weigh in on design alternatives and potential stop locations. There will be a follow-up public meeting on June 5. The KC Streetcar Main Street Extension project is being planned through a data driven process. In order to build the best streetcar extension for Kansas City, the planning group is looking at operational efficiency, cost, constructability and public input.